Thanks so much! I have trouble reading chinese, yet I still type chinese (traditional, anyway). Appreciate your time and effort! My pleasure. I found it very frustrating not being able to get it working. 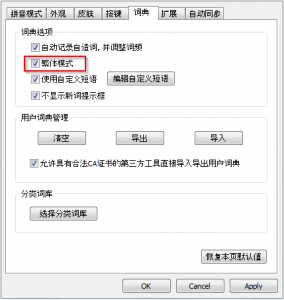 It is a very useful tool, but assumes that you’re an advanced Chinese speaker to get it going. I’m glad it worked for you. Thanks for that! I somehow managed to switch into traditional and wanted to get back into Simplified. The dialog seems to have changed slightly, the checkbox is now the third item on the tab. There’s been a fairly major layout change since this guide was done. Thank you so much! After hours and hours of battling with Windows 7 (the language bar never appears, and so neither traditional nor simplified input is possible), this post finally allowed me to type in Chinese in Windows 7! If I could send you a fruit basket, I would. How did you type…I am still not sure. I have Windows 7 and the language bar never appears. special instead. Glad it worked for you. Cheers. Apparently ctrl+shift+t is a shortcut for switching between the dictionaries too! I think the best would be to have both options on the language bar (like in your screenshot) but have them both go to Google’s IME but with different settings. I’ll probably forget this shortcut by the next time I want to use it. Awesome. I just checked that out and yeah, ctrl+shift+t switches between traditional and simplified. Good catch. 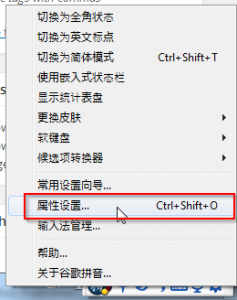 is there a shortcut to switch between chinese and english without clicking the toolbar? “ALT + Shift” is the standard shortcut for switching between languages.